We help patients of all ages get back to a pain free active lifestyle in the most efficient, cost-effective, and convenient way possible without having to wait weeks to see a medical doctor or take harmful pain medications. Trigger Point Dry Needling is a treatment technique developed by an orthopedic surgeon and physical therapist that has been gaining increasing popularity as results and research have shown it to be extremely effective. After movement limitations have been found related to the patient’s pain, and we have identified the specific soft tissues/muscles that are injured or dysfunctional, small acupuncture needles are inserted in these tissues to decrease muscle tightness and improve function. By utilizing the acupuncture needle we are able to have a direct effect on the tissue, and target deeper tissue that you cannot address with hands on techniques. This treatment is EXTREMELY effective in patients with neck/back or sciatic related pain because it can immediately take pressure or tension off of nerves or discs. The Athlete/CrossFit population particularly responds very well and quickly to this cutting edge treatment. The first question is always “What is the difference between this an acupuncture?” Essentially, the only similarity is that the same type of needle is utilized. The mechanism of action and manner in which the needle is used is completely different. You can fit 10 of the dry needles that we use within the width of one needle that is used to draw blood, so they are extremely thin. This allows us to have an effect on specific tissues/muscles without injuring any other tissues or vasculature. Instrument Assisted Soft Tissue Massage/Mobilization is a very effective treatment for a variety of injuries and tissue dysfunctions. People are always skeptical as to how “scraping” a tool across their muscles or soft tissue will help things recover faster. However, the treatment process is much more in-depth and complicated than one may assume, and there is increasing research studies to support the use of these tools. Anecdotally we have seen huge benefits when utilizing this treatment appropriately. Studies have shown that these tools can have an effect on appropriately realigning scar tissue after surgery, and provide important neurophysiological changes to injured muscle tissue. The firm edge of the tool allows increased blood flow to perfuse the area treated, which jump starts or stimulates your body’s natural healing process allowing it to do its job better. Many athletes are utilizing foam rolls or various tools to decrease soft tissue adhesions or muscle tightness, which can be effective in some cases. However, using a uniquely designed tool to target specific musculature with the proper orientation and knowledge of muscle attachments/muscle depth results in a much better outcome. Our in-depth knowledge of anatomy and physiology allows us to treat the musculature and attachment sites where tendinitis and other nagging injuries often occur. The treatment can also be diagnostic, as it picks up on restricted areas within muscle tissues that are more difficult to palpation with a hands on massage approach. Utilizing IASTM as a component of your rehabilitation program will help you recover more quickly and achieve better lasting results. Functional Muscle Stimulation utilizing the Pointer Excel II Tool shown below is a great adjunct treatment to the trigger point dry needling. It allows us to stimulate specific muscles that we otherwise would have no way to have a specific affect upon. This involves a process we call Neuromuscular Re-education, essentially re-training your muscles that are dysfunctional or injured to work appropriately once again. This treatment is extremely effective in patients suffering muscle spasms, neuropathy/sciatica, foot drop, or individuals who are several months out from an injury or surgery and can’t quite seem to fully recover to their desired level of function. There is no other treatment that in any field of medicine that can do what Trigger Point Dry Needling and Functional Muscle Stimulation provide. Joint manipulation can provide a variety of benefits to patients suffering from pain due to joint stiffness or increased muscle tone/spasm. Many people think these treatments are only in the realm of what chiropractors perform, but our hands-on manual therapy based Doctors of Physical Therapy are thoroughly trained in the most effective manipulation or “adjustment” techniques. The audible “pop” or “crack” patients hear is simply a pressure release of gas that has built up within your joints. Think of the audible pop that occurs when you pop a wine bottle, which is a similar example of a gas or pressure release making a popping sound. Patients are occasionally apprehensive or fearful with these techniques, but we are not overly aggressive, and the techniques we use are extremely safe. Joint Mobilizations involve oscillations of a specific joint within a therapeutic directional preference up to 40-50 repetitions to improve the ability of the dysfunctional joint surfaces to roll and glide appropriately. Joint mobility restrictions are a very common cause of movement limitations and need to be treated in a specific manner. Self-mobilizations or utilization of a power band is a good maintenance activity many athletes and cross-fitters perform, which is a great adjunct to maintain changes made during treatment sessions. However it is not a substitute nor as effective as hands on joint mobilizations. These are two types of flexible tape that provide many benefits to a myriad of injuries, especially in the athletic population. The tape will typically stay on for 2-3 days if the patient follows instructions appropriately. The taping techniques have been developed based on specific anatomical considerations and can be used to decrease strain in an injured muscle, off load or release muscle spasm, and increase stability of a loose joint after a shoulder or ankle sprain. More traditional taping techniques with non-flexible athletic tape are more restrictive, and basically block the joint from moving into specific directions. Although these techniques provide some increased stability to the joint, the musculature and soft tissue supporting structures get weaker over time because the tape is doing all the stabilization work. These two innovate taping techniques provide stability and support but still allow the muscle to work throughout the full range of motion, re-training your muscles on how to effectively control joint range of motion. These techniques are extremely common with professional and big time college athletics. Foot orthotics can be a great tool for athletes or simply individuals who work on their feet a lot to decrease foot, ankle, knee, hip, and even back pain. We perform a thorough foot evaluation at our clinic along with our extensive movement assessment to determine if your foot structure is abnormal, resulting in a chain of dysfunctional joint positions and movement compensations up the chain in the knees, hips, and lumbar spine. Abnormal foot structure is very common, and whether a patient has “Flat Feet” or “High Arches” foot orthotics can often be a quick fix and great adjunct to re-align the feet in the appropriate position to improve how joints up the leg and even in the back are being loaded. Basically the orthotic will place your foot in the most optimal position every time you step. The use of orthotics is especially beneficial to patients suffering turf toe, plantar fasciitis, ankle sprains, knee pain, and IT band syndrome. We provide patients with exercises or drills that are easy to perform on their own at home throughout the week to help maintain or even continue to improve the changes we made during the therapy session. We do not select a random or arbitrary group of exercises that we give every patient with a specific medical diagnosis. We look at what your individual movement limitations are, and diagnose exactly what tissues are tight, weak, hypersensitive, or over-active and provide you with activities that are research proven to improve your dysfunctions. We will also let you use our equipment or tools throughout the week when appropriate to get maximal benefit. 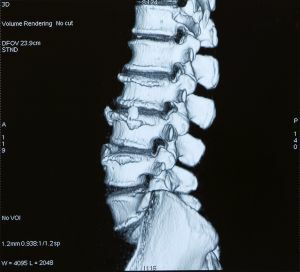 Have you recently or in the past received an X-Ray or MRI and don’t fully understand it? Perhaps the doctor didn’t take time to explain the findings and the implications of your results. Call us today to talk over the phone or at one of our offices for a free consultation discussion to really learn what your results mean and what your next step should be. We can provide the exact types of treatments THAT YOU NEED without waiting for insurance companies to “AUTHORIZE” treatments. We dictate how you are treated, NOT THE INSURANCE COMPANIES! You can come DIRECTLY to us before having to go see numerous other healthcare providers, pay expensive co-payments, get a few arbitrary pain medications or muscle relaxers, and then eventually get referred to PT. You don’t need a physician referral, come to us first and stop WASTING TIME. Physical therapy practices that accept insurance have to hire a large billing staff to help navigate through all the complicated, tedious, and extensive paperwork that insurance companies require to get reimbursed. By skipping this step, we keep our overhead much lower so we don’t have to see a ridiculous amount of patients per day/week to be profitable. We treat 5-6 patients per day, in most insurance based practices a physical therapist and physical therapist assistant team will see >20 patients per day. As a result, each individual patient gets much more attention and focus. Due to changes in the healthcare system resulting in decreased reimbursement for services, many clinics now have 2-3 physical therapy assistants per Doctor of Physical Therapy. Thus, patients are spending a majority of their time with assistants or technicians that are not required to have even a bachelors degree. At OnSite-PT ALL YOUR TREATMENTS ARE WITH A DOCTOR OF PHYSICAL THERAPY.